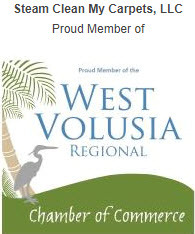 Steam Clean My Carpets, LLC is a proud Woman-Owned company and the leader in carpet cleaning in Central Florida. We welcome you to experience the new advances in technology with the patented Rotovac 360i, a revolutionary way of cleaning for both residential and commercial properties with amazing results that even surprise us to this day! Carpet Cleaning – Our sophisticated Rotovac 360i technology gets out stains much more effectively than the “old-fashioned wand.” We clean until the transparent tube shows clear water, which lets us know when all the dirt is out, something that is impossible with standard wands. While a wand only goes back and forth, the Rotovac 360i does deep cleaning with several hundred multi-directional passes per minute. The choice is clear! Tile & Grout Cleaning – Our equipment may be similar to others, but we the results couldn’t be more different! We go the extra step to make sure edges and corners are thoroughly clean and we use solutions that cover the entire pH spectrum to ensure the highest level of cleanliness. Have us start in your dirtiest area, which is usually the kitchen. If you don’t see the results you are looking for, we will stop right there and you owe nothing. We have never had anyone stop us yet! That is the confidence we have that your will be happy! Upholstery Cleaning – Whether you are looking to steam clean your sofa, chair, sectional or ottoman, we perform everything from initial inspection to pre-treatment to post-care instructions. We are committed to ensuring that your upholstery receives the care and maintenance that it deserves. We love cleaning microfiber and do so at no additional cost! Rug Cleaning – Be it an oriental rug or an area rug, be it large or small, we offer on-site cleaning of rugs only. Some rugs we won’t clean on-site (i.e., shag, urine, odor) but we will explain in those cases and recommend that you go to a rug cleaning facility for specialized cleaning process that takes place in a rug cleaning pit. Mattress Cleaning – What could be more important than a clean mattress for perfect sleep quality? We understand that better than anyone and get your mattresses clean and fresh! We provide superior quality cleaning at affordable prices using state-of-the-art equipment and we truly stand behind every job! Our ultimate goal is to gain your trust and make you a client for life! 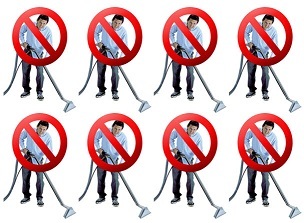 Since the carpet cleaning industry is full of scammers, we offer a guarantee that is more meaningful that that of any competitor out there: “You will be delighted with our quality cleaning…. or it’s FREE!” That way, we eliminate your risk in trying us, and show you that our quality is on the line every time. Be sure and check out our before and after pictures, videos and client reviews to give you an idea of what we can do for you! And that’s not all! What makes us stand out among our competitors is our one-stop shopping experience, as we are able to perform multiple tasks in one visit – be it residential or commercial carpet cleaning, tile/grout cleaning, upholstery cleaning, and everything in-between. Jason S. Video Testimonial – My very first client back in 2009. Our attention to detail is getting noticed as we have nearly a perfect 5-Star rating across the board for customer reviews with Google, Yelp, FaceBook, Angies List and more. Let us “Wow” you too! You can read the reviews on Google here. You can read the reviews on Yelp here. You can read the reviews on FaceBook here. If you are an Angie’s List member, you can read the reviews on Angie’s List here. As a dedicated provider of carpet cleaning in Central Florida, we assist home and business owners over a large service area that covers 50 plus cities. We go to Deltona to Deland to Orlando to Oviedo to Daytona Beach to Ormond Beach to Mount Dora to Apopka and everywhere in between. Go to Cities to see if your city is in our service area. To experience the Rotovac difference with our one-of-a-kind carpet cleaning anywhere in Central Florida, call me at (386)860-2202 / (407)920-8754 or click the green button below to get a free online quote via email! Call Me Today! Remember, you will be delighted with our quality cleaning…. or it’s FREE! 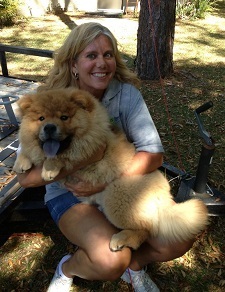 I have used professional steam cleaners for many years and was impressed that Ellen’s equipment did a better job. She was friendly, courteous and very pleasant to deal with. I’ll definitely call her the next time I need to have my carpets or furniture cleaned. 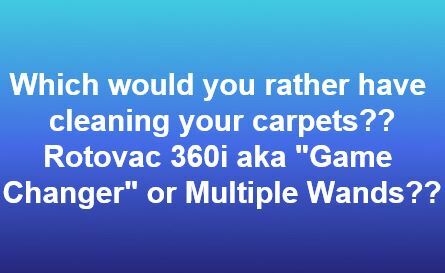 Which would you prefer cleaning your carpet? 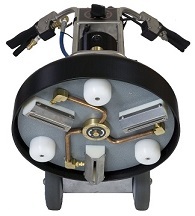 A technician using the “old fashioned wand” that only cleans from 2 directions (back and forth) or a technician using the Patented Rotovac to thoroughly deep clean carpet with several hundred multi-directional cleaning passes per minute? Would you prefer a technician that may be tired and he can’t see how much dirt is still in your carpet or a technician that can SEE what’s still coming up from your carpet through the clear tube on the Rotovac? Which method provides a better cleaning experience? I think the choice is clear!